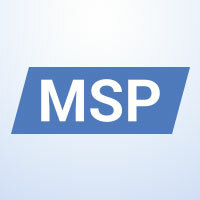 MSP Consortium members are free to choose whatever software platform they feel is best suited to run their business. As a courtesy, the MSP Consortium makes the Comodo ONE platform available to all members. Comodo ONE is an integrated platform that offers Patch Management, Remote Monitoring and Management (RMM), and Service Desk functionality. Content is saved in a secure cloud environment providing immediate access to all information, data and records. With the complimentary RMM software, you have the ability to proactively monitor and manage your customer environments, enabling you to stop problems before they start. Instead of waiting on problems or critical situations to engage your clients, you can move them to a subscription model – meaning you can add more clients and count on a steady revenue stream. Comodo ONE is designed, evaluated and developed by MSPs for MSPs. It automates more daily tasks than other MSP software solutions, enabling you to save time and focus on your priorities. The MSP Consortium’s Technology Committee identifies daily time-consuming tasks and reports them to the Comodo ONE development team so they can be automated. MSP Consortium members have access to the Comodo ONE development team via the Technology Committee section in the MSP Consortium Forum. Members can communicate ideas to define and enhance the quality of the RMM, PSA and QSA tools they use every day.